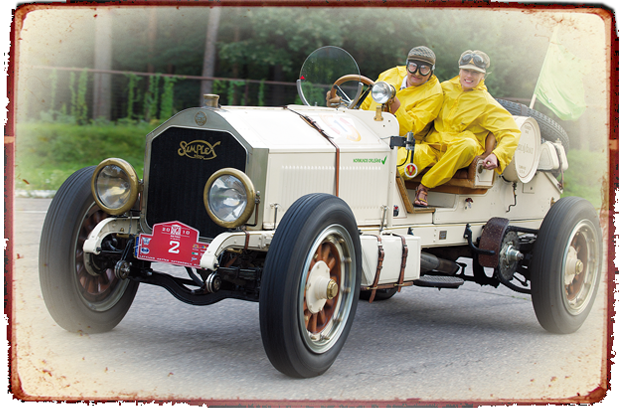 is a new antique car museum. Our Expo presents the visitor with a broad spectrum of rare cars and motorcycles of yesteryear –vintage, antique and classic. 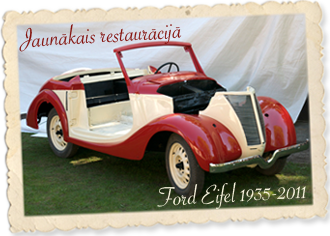 There you will be able to become acquainted with the processes of restoration, as well as learn the history of motor vehicles in Latvia. We will introduce you to each of our models on display – their history, technical characteristics, process of restoration, and requirements for usage. This equipment of the by-gone era, if it is to provide enjoyment for generations to come, requires a delicate treatment. Come! Visit us! We are going to introduce you to a myriad of things to provoke your interest. Among the various cars – Horch, BMW, Opel, Mercedes-Benz, etc., motorcycles – Ariel, BMW, NSU, etc., from the early nineteen hundreds, as well as other historic reminders of our past.